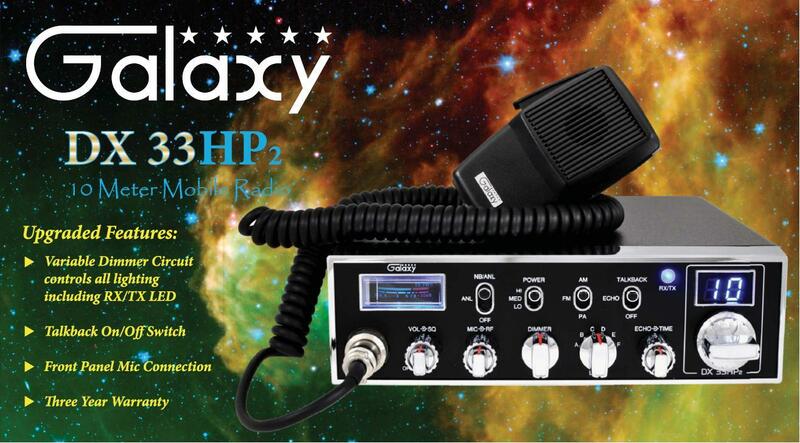 Introducing the new Galaxy Dx33HP2 radio. It is basically the same as the regular Dx33HP with blue LED's and dual MOSFET finals. New front mic jack and rear frequency counter jack. 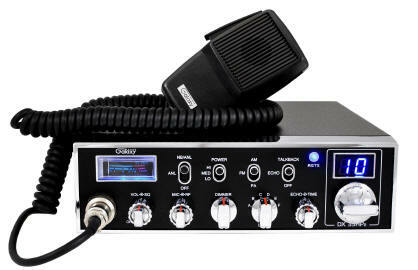 New Galaxy Dx 33 HP 2, 10 meter radio. Find Excellent service, warranty, fast shipping, and super low prices for Cb radios and 10 meter radios at GI Joe's Radio Electronics. Galaxy Dx33 HP 2 Galaxy Radios. A license to operate amateur radios may be required in your area. The end user is solely responsible for proper operation of amateur radio equipment and adhering to the rules and regulations of their country . In the U.S. it is legal to purchase amateur radios and receive on amateur radio bands however an amateur radio license is required to transmit. GI Joe's asks that persons using amateur radios please respect the regulations by not transmitting on amateur radio bands without an amateur radio license. By purchasing an amateur radio from us you are agreeing not to transmit on amateur radio bands without an amateur radio license. An amateur radio license can be obtained in the U.S. by taking a relatively simple test. Morse Code is no longer required for the technician class U.S. license. You can find information on licensing at the ARRL website.